• Disasters: Hurricanes, windstorms, tornadoes and lightning strikes are typically covered. So are man-made disasters resulting from riots or civil unrest. • Fire: Losses resulting from house fires, wildfires and water or sprinkler damage from firefighting are covered by standard policies. tree branch falling off and damaging your roof. • Liability: Standard policies cover accidents and injuries occurring to others on your property — whether they bill your insurance company or sue you. Standard policies also cover damage or loss you, your family or pets cause to someone else’s home or belongings. insurance is only available via carriers through the National Flood Insurance Program. • Earthquakes: In California, standard policies do not cover earthquake damage or loss of property. A separate earthquake policy is expensive, but may be a good investment in shaky California. • Earth movement: The standard homeowner’s insurance coverage doesn’t cover losses from ground settlement, liquefaction, slope slippage, erosion or a rockslide. • War: It’s not fun to consider but your homeowner’s insurance policy won’t cover losses stemming from a war or a nuclear event. 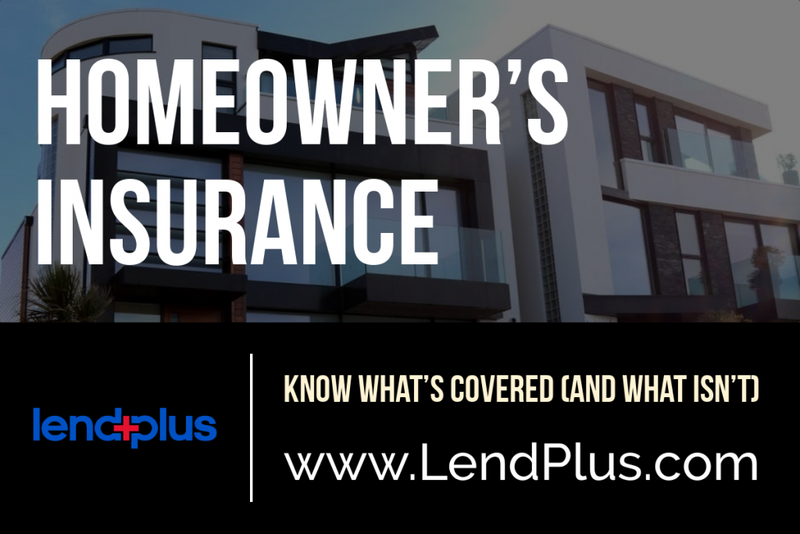 A standard homeowner’s insurance policy covers a surprising range of incidents and expenses. It may also surprise you what isn’t covered. Knowing what’s covered and what isn’t is key to protecting yourself, your family and your pocketbook. Previous: Previous post: What Is A 1031 Transaction?